Approaching retirement can be a stressful time, as your thoughts turn from your working life towards planning your future. The options available for your pension savings may seem daunting at first but when it comes to taking benefits from your defined contribution pensions, there are three main options to consider. A flexi-access drawdown plan allows you to invest your pension fund and make regular or lump sum withdrawals as needed. You can access 25% of your fund upfront which is payable free from tax. The remaining funds can be invested, and you have full flexibility in terms of additional withdrawals, although these are subject to income tax. A pension annuity will provide you with a guaranteed income for life, in exchange for the lump sum value of your defined contribution pension plan. If you choose to purchase an annuity you still have the option to take 25% of your pension fund as a tax-free lump sum at the outset. The remaining funds are then used to buy an annuity either through your existing pension provider or on the open market. 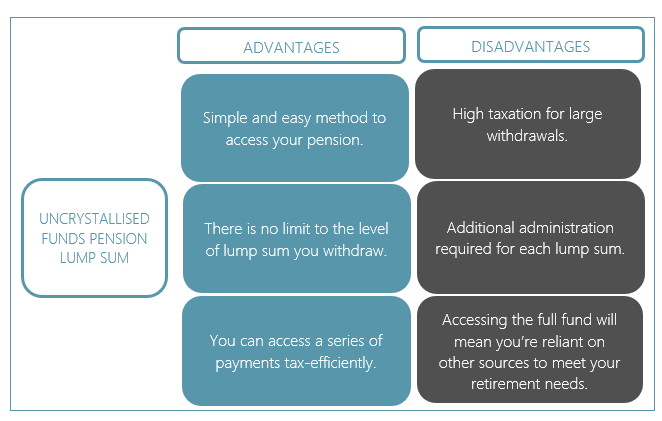 Since April 2015, it is possible to take lump sum withdrawals from your pension without having to set up a drawdown plan or purchase an annuity. There is no limit to the level of withdrawal taken and you can take the full pension fund in one go. Alternatively, you can access a series of lump sum withdrawals. For each withdrawal taken, 25% is payable tax-free with the remaining 75% subject to income tax. 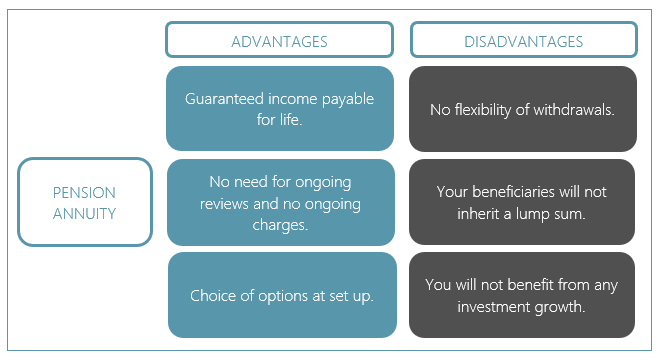 Which option (or combination) is best for you is a more complex question and one that your Financial Planner is able to help you with, it is also worth bearing in mind that under the current rules, you are not able to access your pension benefits until age 55. 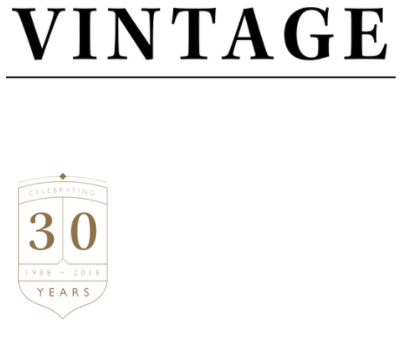 Vintage will work with you to help identify your needs and look at potential solutions to help achieve your goals. We use interactive cashflow modelling in our meetings to explore the options as well as sustainability tools to help make your retirement as worry-free as possible. 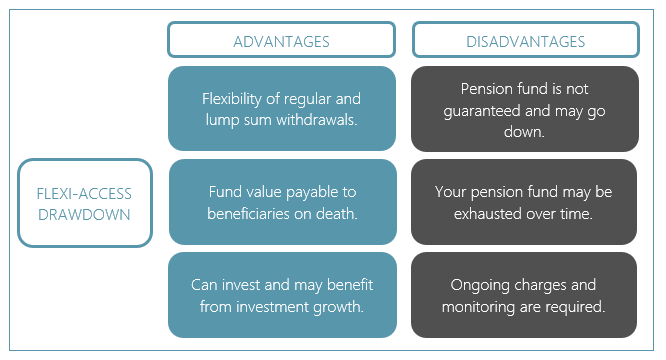 Further details of all the options and some of the taxation and technical considerations can be found in our ‘Guide to Retirement Options’. This information is based on current taxation and legislation which is subject to change. It is not intended to replace advice. The pension option that is right for you will depend on various factors and we would always recommend that you take advice from a qualified professional.